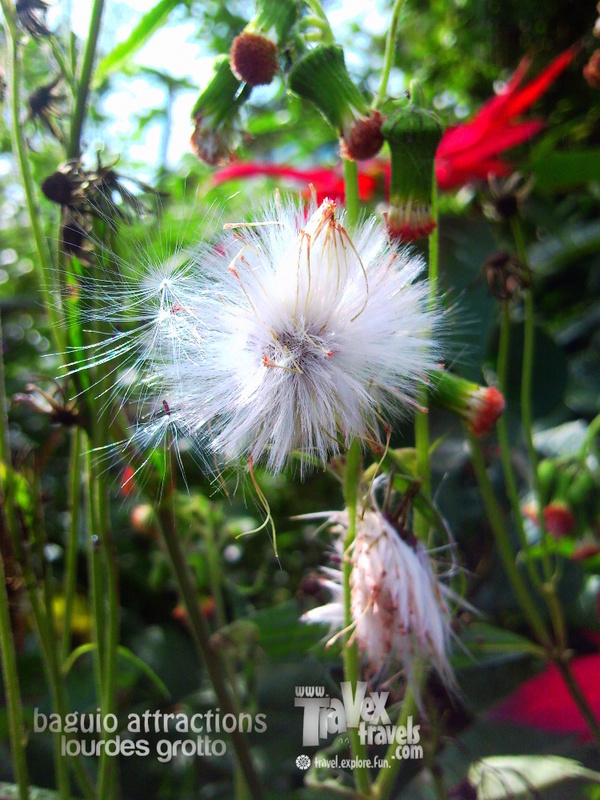 Get ready to train and flex your leg muscles as you will have to climb more than a hundred steps to the Lourdes Grotto in Baguio. 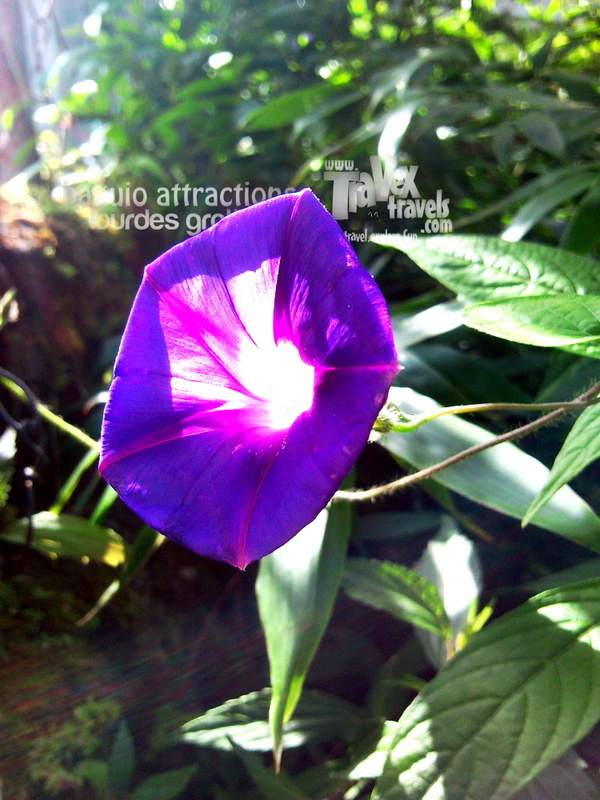 One of the most popular Baguio attractions was Our Lady of Lourdes Grotto, or simply the Grotto (or Lourdes Grotto). 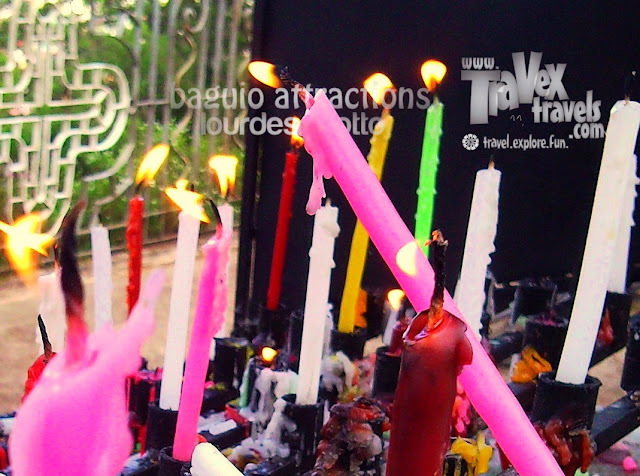 The Lourdes Grotto in Baguio was a replica of the Lady of Lourdes in France (Lourdes is a place in France). To go to this Baguio attraction, one has to climb hundreds of steps—stairs that will require you to flex your muscles (especially your legs!). Catholic devotees lit candles upon reaching the Grotto. Candles lit in the Grotto of Our Lady of Lourdes. 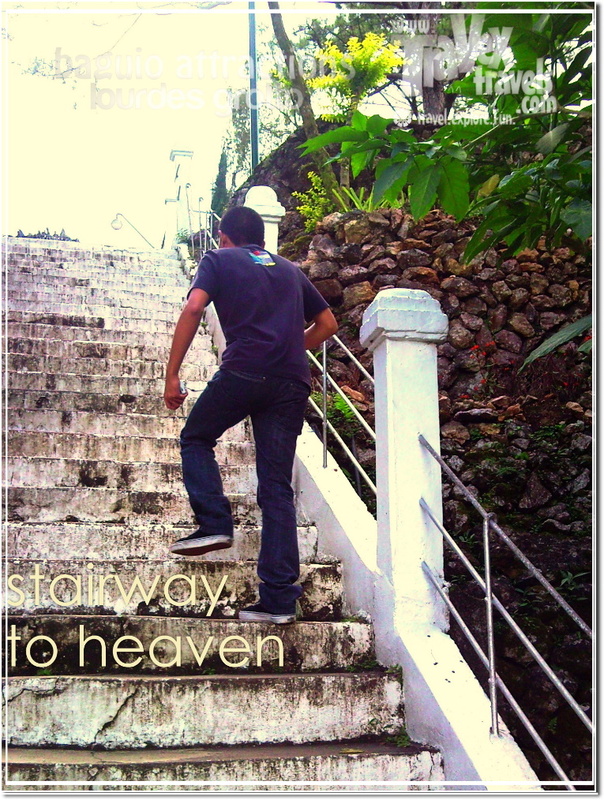 A statue of Jesus somewhere near the grotto in Baguio. We went to Lourdes Grotto as a part of a long walk tour. After our lunch, we went to the jeepney terminal where jeepneys bound to “Dominican Hill” were waiting for passengers. 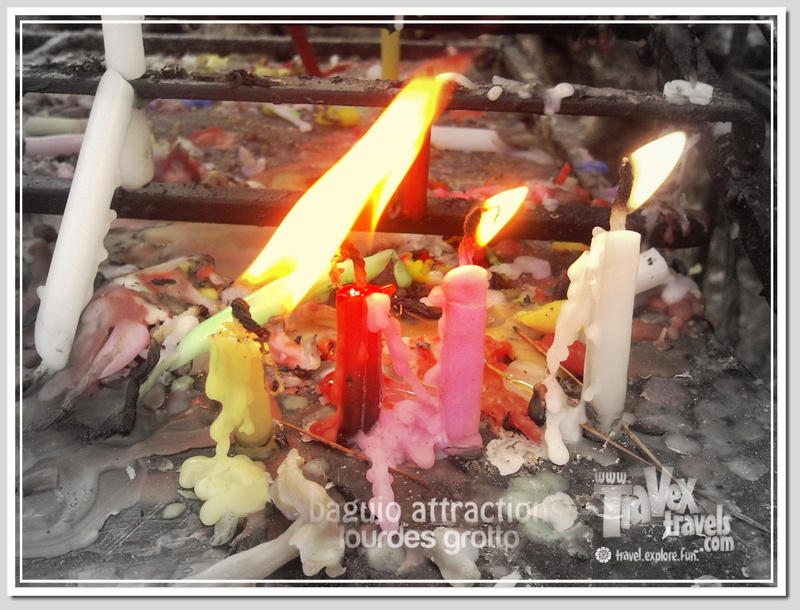 To go to the Lourdes Grotto, click “How to Go to Baguio Attractions: Grotto and Diplomat”. Regular fare applies. Lourdes Grotto is about 5-10 minutes (depends on volume of traffic) from the terminal. When we finally reached the foot of the stairs to the grotto, it’s like we wouldn’t want to climb it anymore! It was so high! But well it’s part of the plan so we somehow did it. By the way, there are candle vendors around but if you forgot to bring one or you forgot to buy one, you still can buy at the honesty candle store at the peak where the grotto was located. 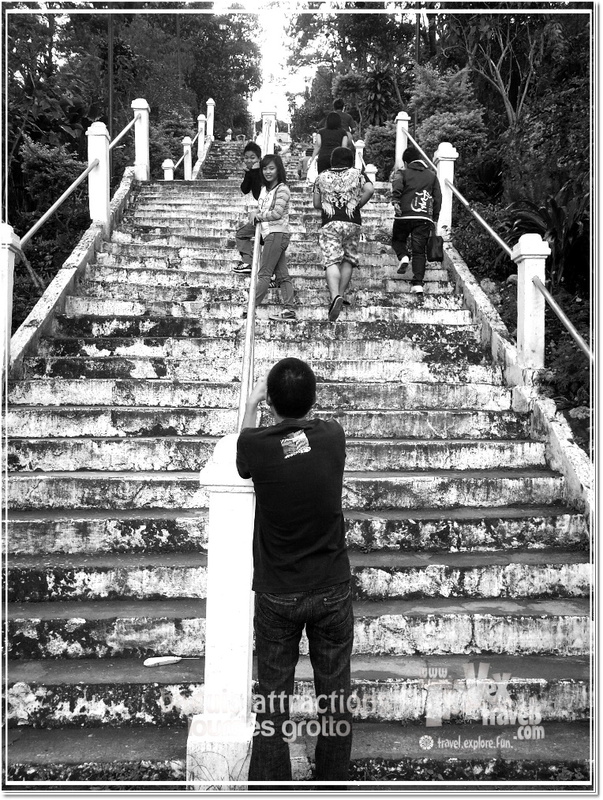 Surprisingly, the stairs to grotto is not recommended for old people who are suffering joint pains (or even asthma). The stairs will really consume your breath so if you want to climb it, do it slowly (but surely). When you reach the top, you will get to see the grotto. Here you can pray for some blessings and thank God for the good things happening in your life. Just beside the grotto was a big religious statue. You are allowed to take pictures, but just don’t be rowdy because it is a sacred place to people who are devoted to Her. We didn’t stay long at the grotto. After we prayed and lit some candles, we headed to walking the path going to the “World’s Largest 10 Commandments Tablet”. And this is where our haunted walk tour starts—at the vicinity of the Diplomat Hotel Ruins.